We used compelling photography and custom graphics to evoke the quality of the product itself. We also implemented modern development techniques, such as sticky navigation and parallax animation, to separate the brand from it’s more traditional competitors. 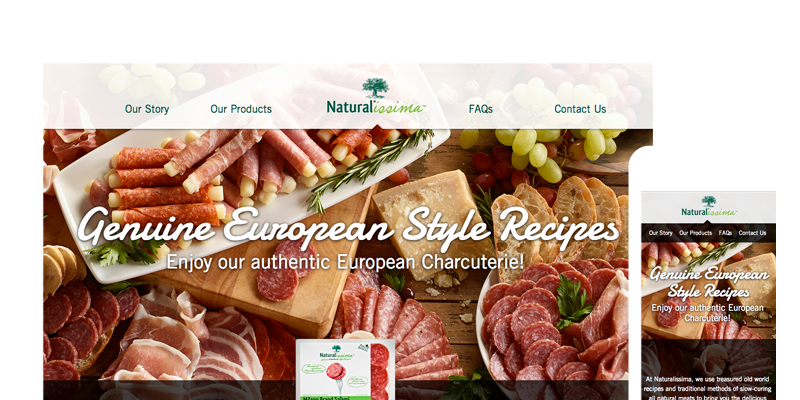 Naturalissima is a producer of all-natural Italian-style meats. Because specialty meats are relatively new to the U.S. market, the client asked HeliumStudio to create a website that inspires the audience to cook.